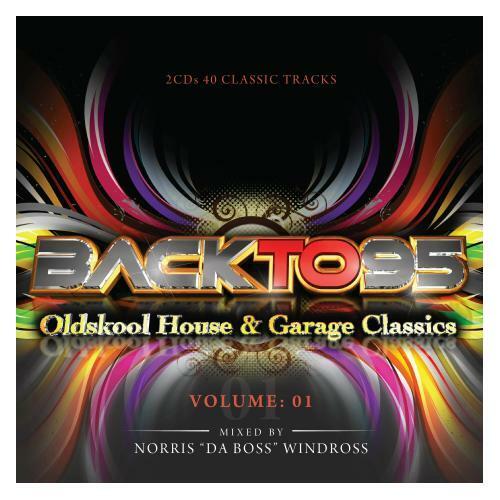 Back To 95 Oldskool House & Garage Classics Volume 1, the two CD set, Mixed by Oldskool Legend Norris Da Boss Windross. Full of the very greatest House and Garage classics from the mid '90s. Back to 95 was developed from the initial vision of recreating the party and musical atmosphere of the 90's urban club scene. The music policy is based around vocal House and Garage classics that were anthems throughout the vibrant 90's. Disc One contains Old Skool Garage with the biggest tracks from back in the day plus a few rare grooves. Disc Two features classic soulful House including some of the greatest international dance floor fillers. Includes cuts from Cajmere, Robin S, Inner City, Anthill Mob, Cloud 9, Kim Mazelle, MK, Mariah Carey and many others. CD will be posted to you. Please enter members code to access discounted tickets.